Happy Birthday! Thank you for being the best Daddy in the world. You make me smile everyday and I can't wait to celebrate your birthday with you at the weekend! 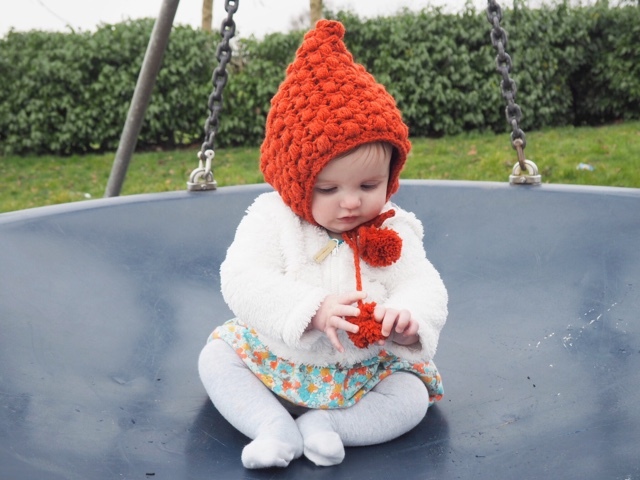 Is there anything sweeter than a handmade piece of baby clothing? 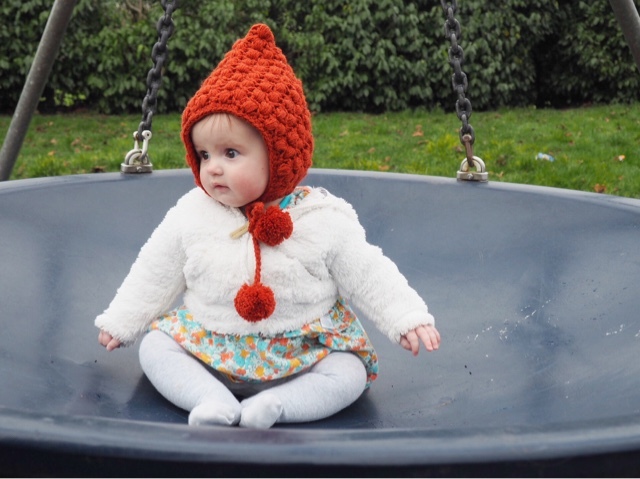 I'm obsessed with knitted and crocheted items for V's wardrobe and this beautiful hat from Dottie & Rose's Crochet Boutique*, is no exception. 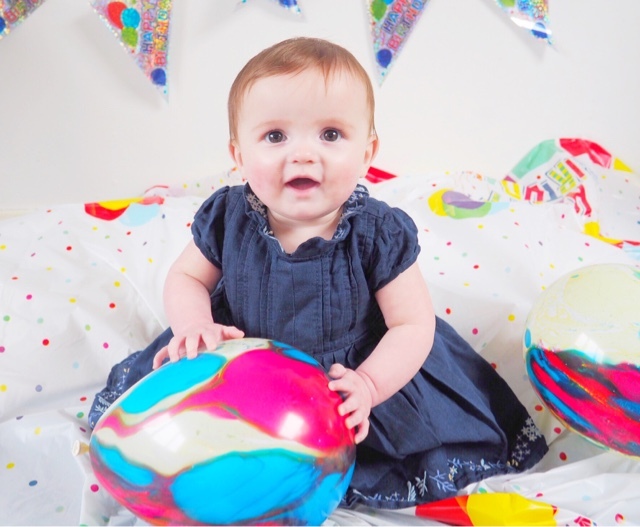 Dottie & Rose is a small business run by a fellow Mama, Rhiannon. I'd been in touch with the lovely Rhiannon after seeing a post on Facebook. We got chatting and Rhiannon kindly offered to make Violet a very special item for baby wearing. We discussed colours and I really wanted something a little different to those you find on the high street and this rust colour fit the bill perfectly. Rhiannon had the idea of the pixie-style hat and I immediately loved it. Rhiannon was so professional and kept me up to date with the progress all the way through. I'm rubbish at crochet and I'm always in awe of those that can do it well, the hat is just beautiful and so, so well made. I adore the added Pom Pom detail to the tie and I think you will agree, it just looks adorable. The hat was made oversized to ensure Violet got a good amount of wear out of it. It fits so well now but I'm pretty certain it'll still fit her nicely next Winter too. I can't rave enough about how impressed I am with this piece for Violet's wardrobe. I love one of a kind, unique items and this hat is certainly one of those. I will certainly be ordering from Dottie & Rose in the future and supporting a gorgeous small business! You can find Rhiannon and her lovely crochet pieces on Facebook here. BLW: Super Easy Peanut Butter Cookies. I've mentioned in the past that I've been spending a little more time in the kitchen since Violet began weaning. I'm always looking for new recipes and ideas to try out, especially things that can be made in batches and stored for a few days. We're huge fans of finger-shaped foods or anything that easy for V to get a good hold on. Particularly things like sweet potato wedges, slices of mango, porridge fingers etc. This week I got a little more creative and found this recipe from a lovely American lady on a Facebook group for BLW peanut butter 'cookies'. They were so easy and cheap to make, that I really wanted to share the recipe and hopefully inspire some Mamas to get in the kitchen! Step 1. Mash the banana in the mixing bowl - I usually squeeze the banana in the skin then peel and drop it in the bowl. Very ripe bananas work best. Step 2. Crack your egg in with the banana and give it a good mix. Step 3. Add your peanut butter and mix. Step 4. 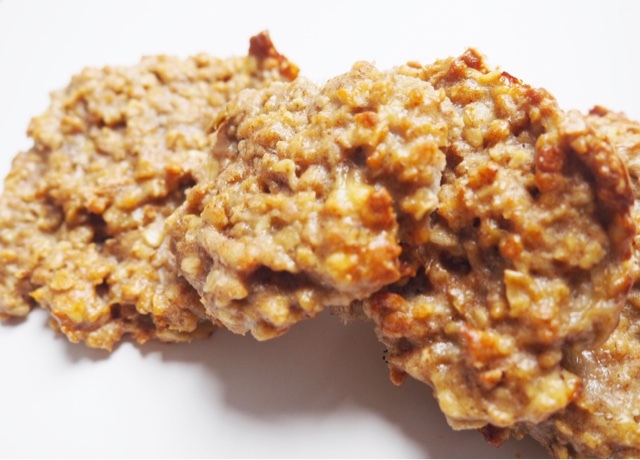 Pour in your oats and mix together to create a cookie dough-like texture. Depending on the size of the oats, you may need a little more/less. Step 5. Finally spoon out tablespoon sized portions onto the baking tray and pat down with a spoon. Pop them in the over on 180 degrees Celsius for 8-10 minutes, and voila! I portion them into two's and pop them in the fridge for the next few days. I tend to go with the 3 day rule and use them up within this time. 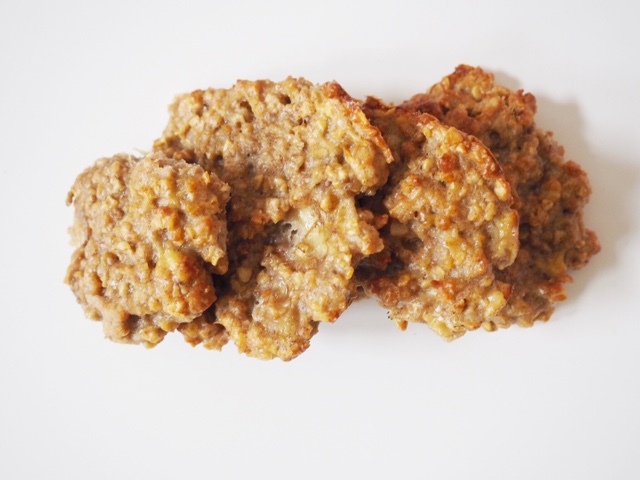 They're great for a super speedy breakfast or to pop in your bag for a healthy on the go snack. They have my little miss' approval too, so they can't be half bad. 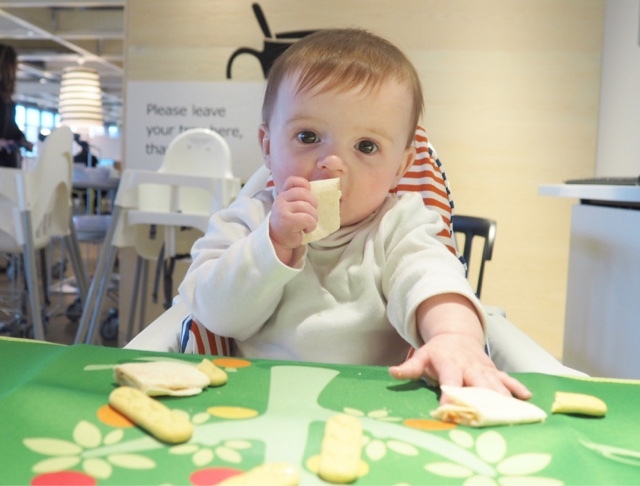 Baby Led Weaning & Eating Out. 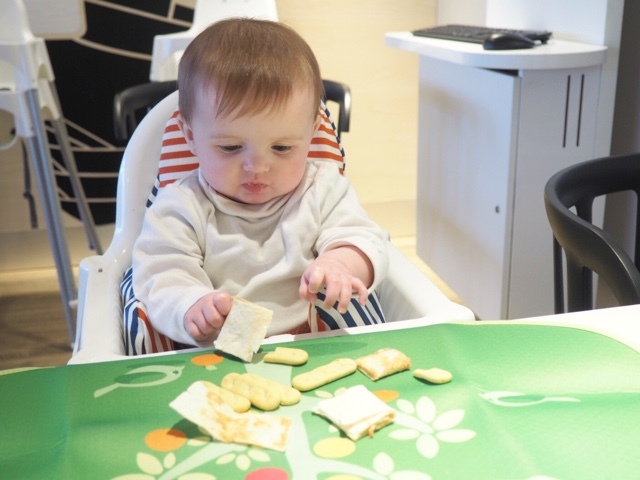 Before we began BLW earlier in the year, I had lots of reservations and concerns, mainly centring around eating out. My hubby and I like to eat out on a weekend, no where posh or exciting but it's just something we have always done. Eating out with a little one is difficult as it is, but throwing the fact that they need feeding too, is a whole new ball game. Having said that, we seem to have coped the last few weeks and have actually started enjoying eating out with Violet. While we're on eating out, can we all just take a moment to praise the IKEA highchair? It's the one we have at home and I'm always thankful to see it in cafes and restaurants. 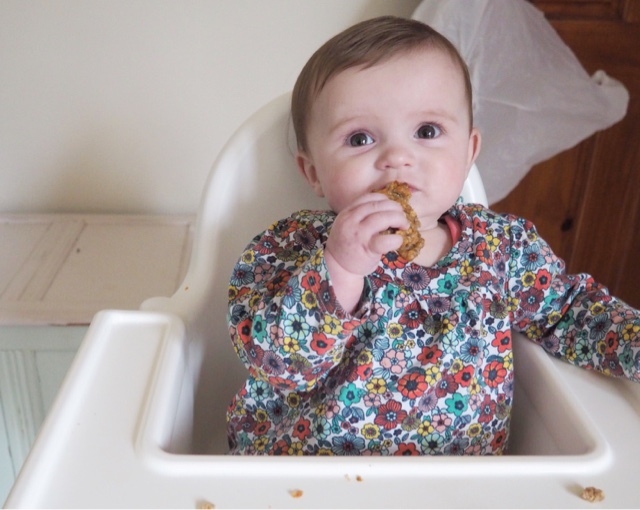 It's the perfect fit for Violet and she will sit happily munching away without any problems. In fact, IKEA is just brilliant for families all round. The cafe is so accessible and super cheap and it's actually where we took these photos. Don't get me wrong, I don't buy meals for V when we're out. Violet is definitely not at that stage yet, but if I have something appropriate for her to nibble on then I will happily share that with her (Pizza Hut salad bar, I'm looking at you!). Or otherwise I tend to take a packed lunch of something we made earlier, which works really well for us. But we are still eating off the table and throwing a lot on the floor, so Michelin star dining probably isn't a great idea. I've found a few things really help when we're out and about and planning on stopping for food. One being the IKEA highchair blow-up insert. We bought two, one for at home and one to take out with us. 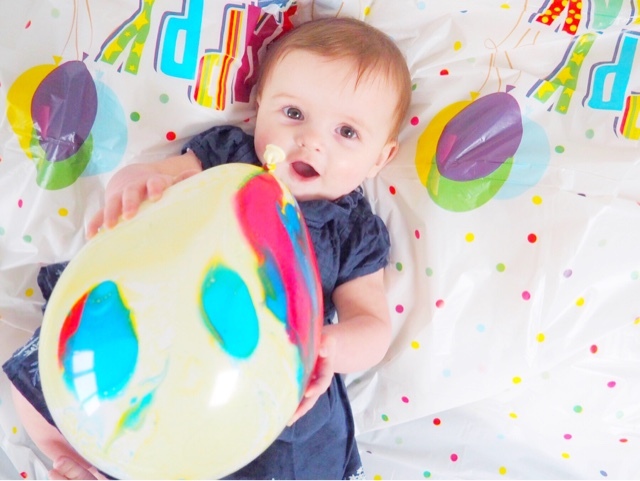 It's really handy to pop in the nappy bag and inflated or folded down within a few minutes. It fits inside all highchairs and makes a huge difference when cafes have those huge wooden chairs. 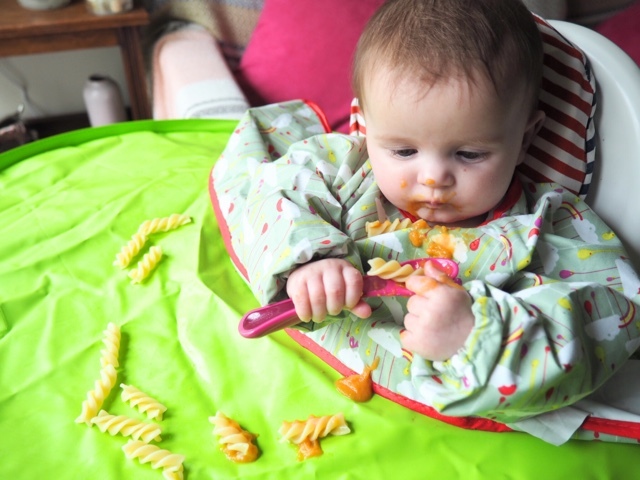 Another great find is the Bibetta Placemat* for popping down on the table and letting V go to town on her lunch. Not only is it machine washable and waterproof but it also stops me having to wipe down every surface before Violet starts eating. The placemat has a really handy pocket too, so catches any food that would otherwise end up in V's lap then ultimately onto the floor. It's certainly made my life a little easier when we're eating out. Lastly, choosing family friendly restaurants and cafes is definitely the way forward. The likes of Harvester, Pizza Hut, pubs with play areas, etc. are easily the best place to be with a little one. No body cares if your little one drops some food or decides to have a meltdown mid-snack, the mess and noise are all part of the experience of family dining. I'm so excited than we can now enjoy meals out as a family of three without having to entertain Violet and wolf down our meals. V is getting so confident with eating and loves to have meal times with us both and I think eating out has probably helped that. I can't wait to continue our BLW journey as Violet explores even more with food. 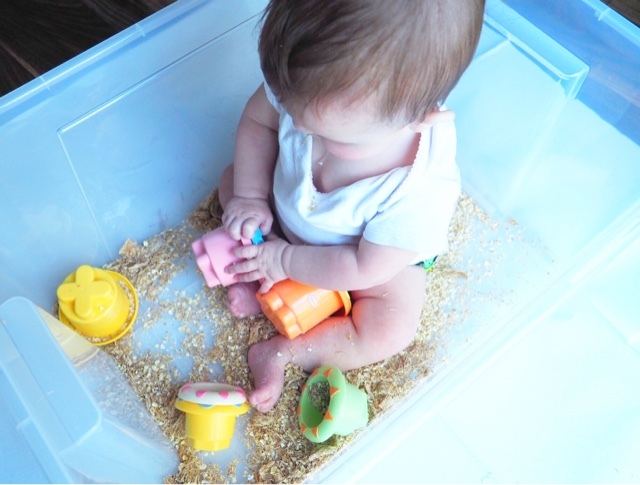 Super Easy Baby Sensory at Home. I'm forever trying to come up with easy rainy-day activities to do with Violet. Although we spend a lot of the week out and about, there are some days when we need a little something to keep us occupied for an hour or so. 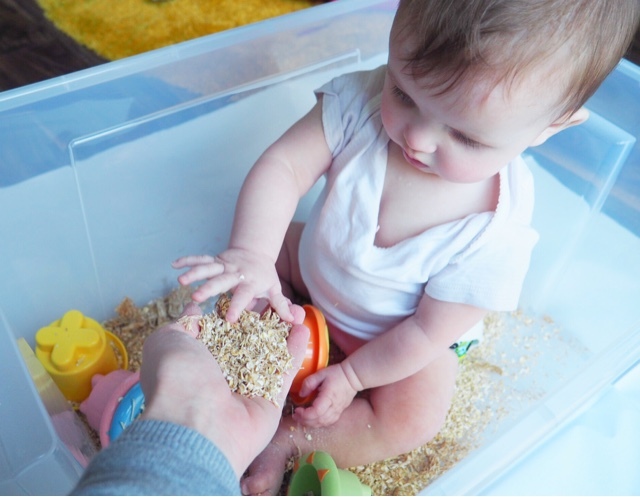 Recently we've found a lovely new messy play session at a children's centre which Violet loves, but it also provides me with lots of ideas and inspiration for trying new things at home. 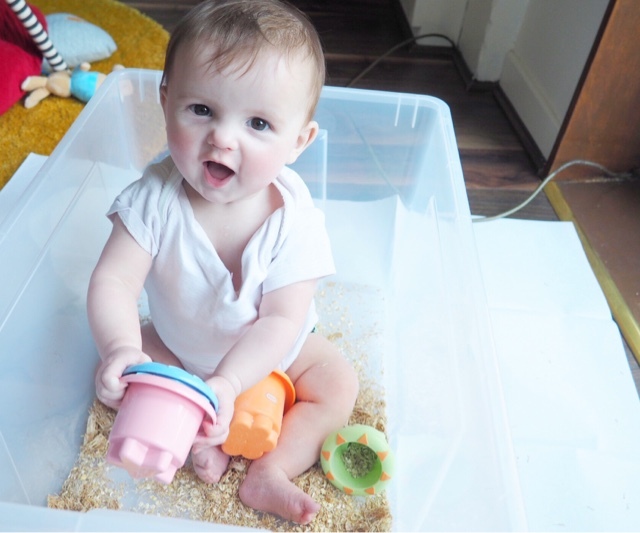 So this week I've gone all out and plonked Violet is a spare storage tub and popped in some edible sensory play for her to explore. 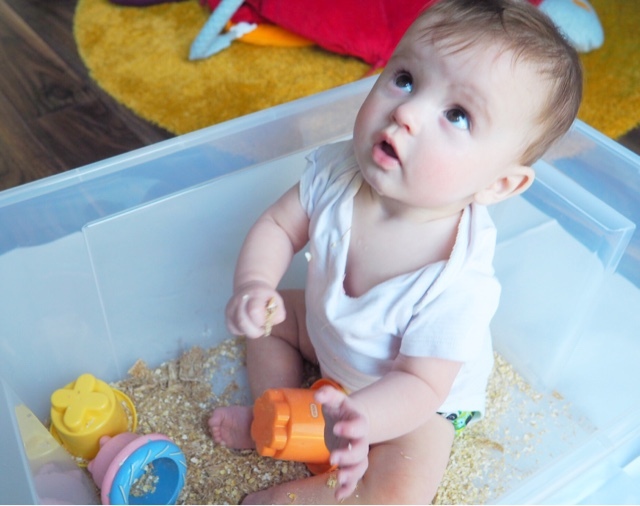 We went with shredded wheat and dried oats this week, but I'm pretty sure you could go with anything you had lying around in the kitchen cupboards that is baby-safe obviously. V enjoyed playing with the different textures and picking up the oats and of course sticking them straight into her mouth! I also popped in her stacking cups, which worked really well for filling and pouring and just general play. Violet sat in here for a good half an hour interacting with the different textures and just having a good time. We explored a little with her feet too which she seemed to enjoy. I found the easiest way to play was to strip her down and to her vest and nappy and let her go for it. And I also popped the tub on a disposable table cloth I had to hand, to save any extra hoovering up! This is such an easy sensory activity to try at home and can be made with little or no cost at all. I'm really looking forward to experimenting with some more sensory tastes and textures - you'll find me browsing Pinterest. Do you know of any sensory activities we should try? We've been exclusively using cloth nappies since Violet was around 6 weeks old. If you've followed my blog for a while, you might have seen a couple of cloth nappy related posts previously - here & here. 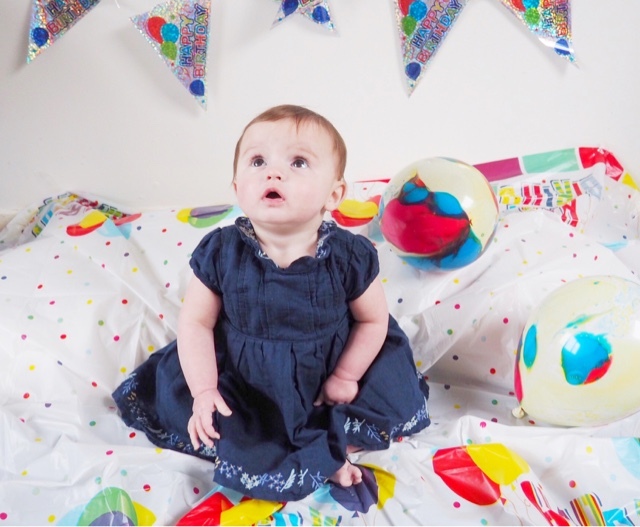 We've learnt a lot about the reusable nappy world and with some trial and errors, we have definitely found what works for us. 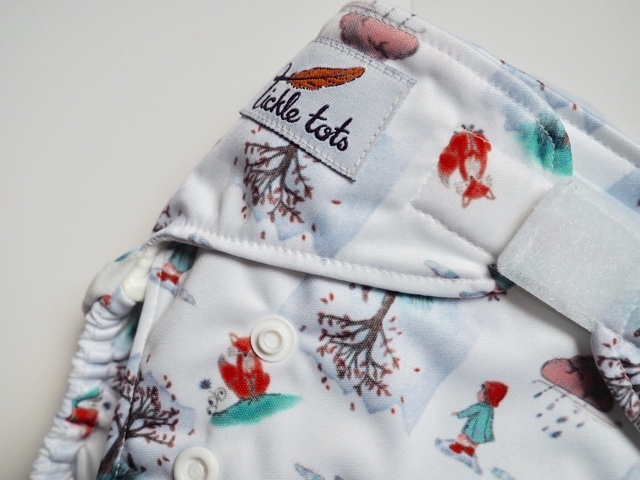 Recently we've been given a chance to try out a brand of nappies that's completely new to us - Tickle Tots*. We were kindly sent one of the 'all-in-two' nappies to try out and see how well they worked for us. And so far we're really enjoying experiencing a new style of nappy. 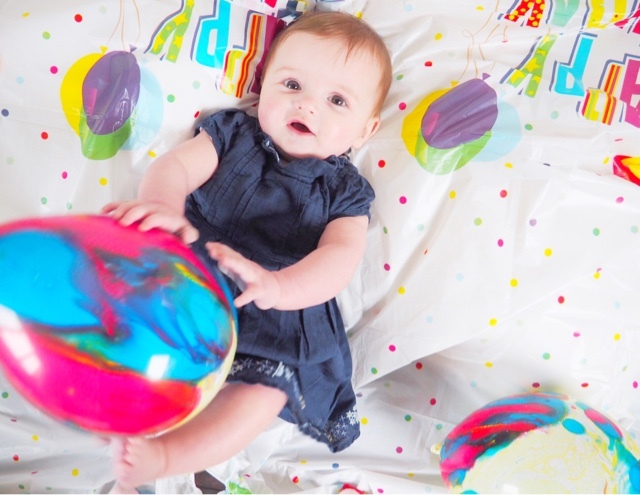 The all-in-two nappy features an waterproof outer shell, then an set of two boosters; a smaller sized booster and a larger one. The boosters can be used singularly or together for added absorption, and so far that's what we've opted for. 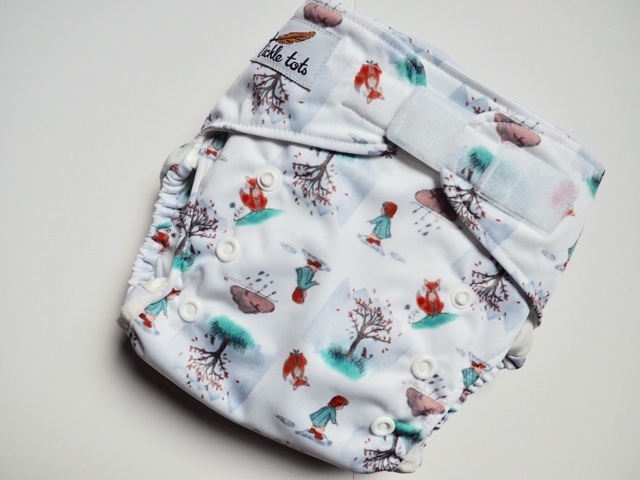 We have one nappy in our stash that is similar to this style, and we find that leaving both boosters in can give us a good 5-6 hours with no leaks and no need to change (other than if V has pooped!). In comparison to the usual all-in-ones that we use, this one from Tickle Tots has come in super handy when Violet is in her sling. 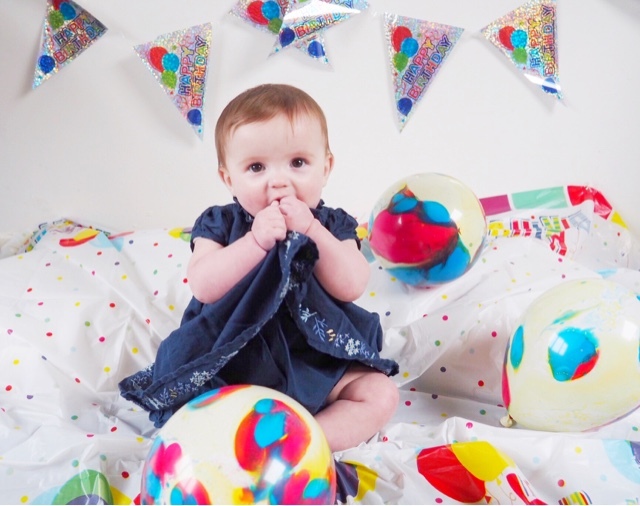 If you've used AIOs in the past, you'll know if there is any added pressure to the nappy, after a while it will 'squeeze' the nappy and result in some leaking. With the Tickle Tots AI2, this doesn't occur as the boosters 'pop-in' to the outer shell rather than being all as one. If the nappy does have any pressure applied from tight clothing or sling, there is no leaking on to V's clothes, which definietly prevents any extra outfit changes when we're out and about! This nappy is a birth to potty style, which is absolutely the way to go if you're wanting to exclusively use cloth. As long as the nappy is well looked after, it should last right up until Violet is ready to be potty trained. 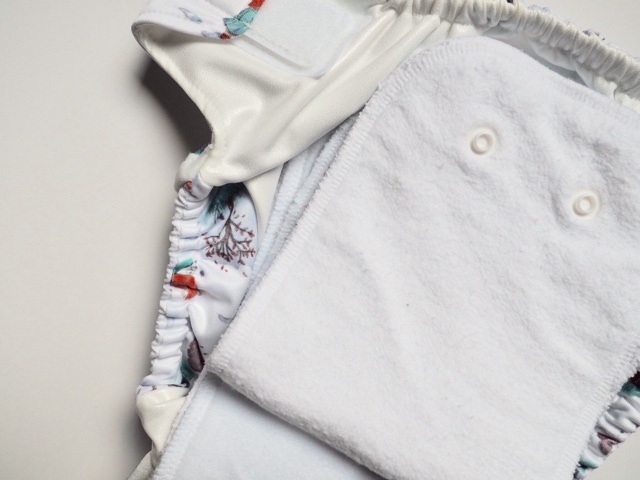 As you can see on the photos, the poppers allow the nappy to be made smaller depending on the size your baby requires. Violet is currently on the smallest size in all her nappies and this one fits like a glove. The Velcro fastening means I can get a good fit around her bum and waist to ensure we have no leaks around her tummy or legs. Again, the Velcro means it's easily adjustable and can be tailored to exactly the size your baby needs. And of course, this would be no review if I didn't mention how cute the design of this nappy is. 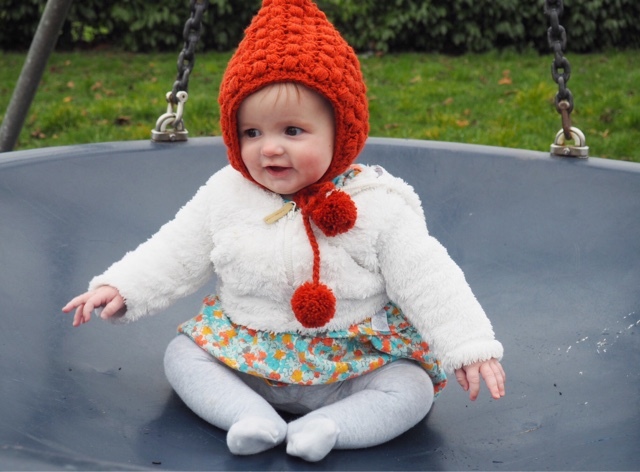 The pattern is described as Perfect Puddles online and that pretty much sums up this nappy. 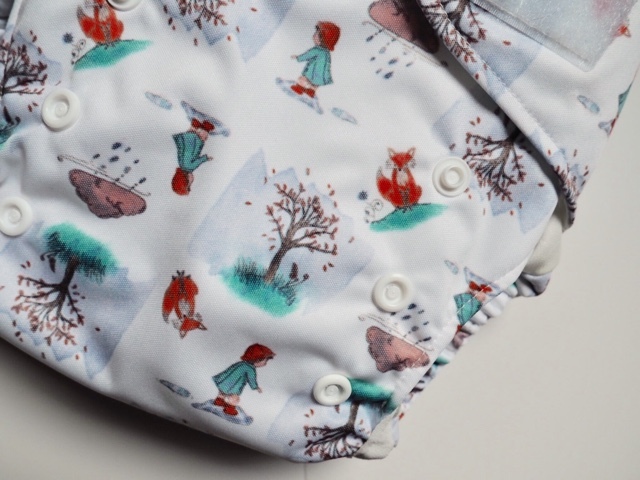 It's just the ultimate nappy to wear during those blustery spring days, when the only thing to do is pop the heating on and sit in your PJs all day! 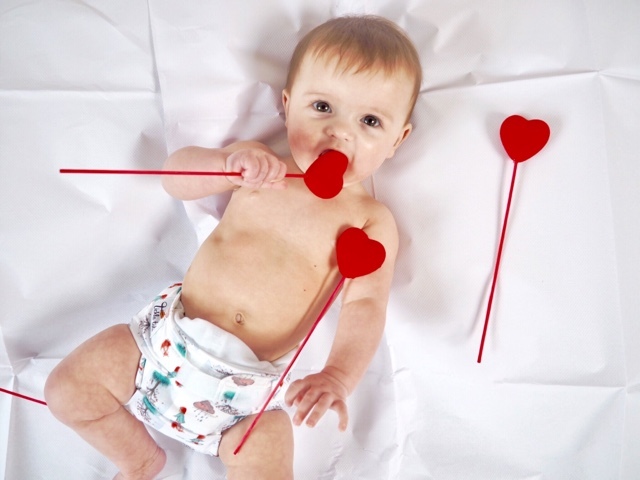 Our DIY Valentine's Day shoot. These photos have been sat in my drafts for a few weeks and I've been dying to share them with you. A couple of weeks ago I popped into Poundland and spotted the Valentine's stuff. 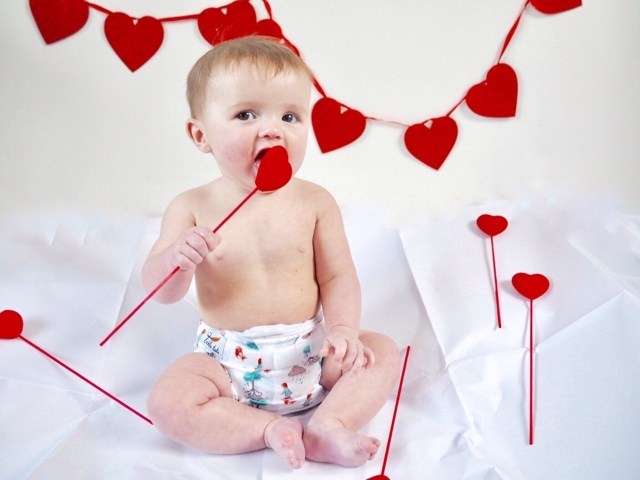 Then I had a little idea to try and DIY a little Valentine's shoot with Violet. So after picking up some heart shaped bunting, some hearts on sticks (?!) and a white table cloth, I went ahead and snapped away. I hope you love the photos as much as I do. I figured popping her in a nappy would be the best thing to do. Plus she can double up as a little Cupid, which is very fitting for this time of year! 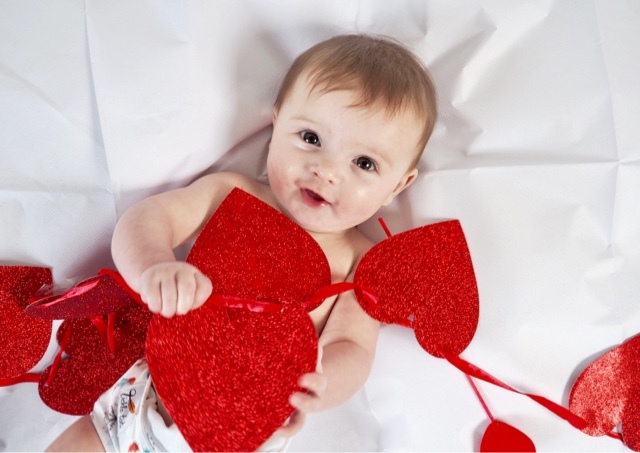 Happy Valentine's Day from my little cherub. 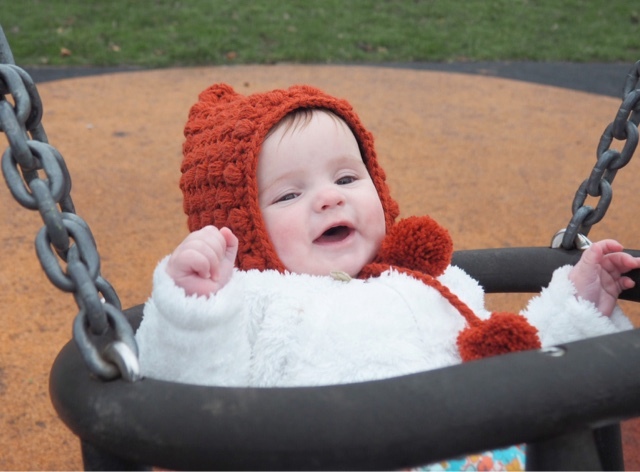 Caring for Baby's Skin in Winter. Winter seriously takes it toll on my skin, I have super sensitive skin as it is and the colder months just make it a whole lot worse. I've been worried about how Violet would cope in the winter, especially being so young and have sensitive skin as it is. Thankfully we seem to have developed a good routine to keep her nice and moisturised and to avoid any nasty, flaky skin. It's so hard dealing with the cold weather and central heating, clothing wise as well as skincare. One thing we've been using constantly is coconut oil. 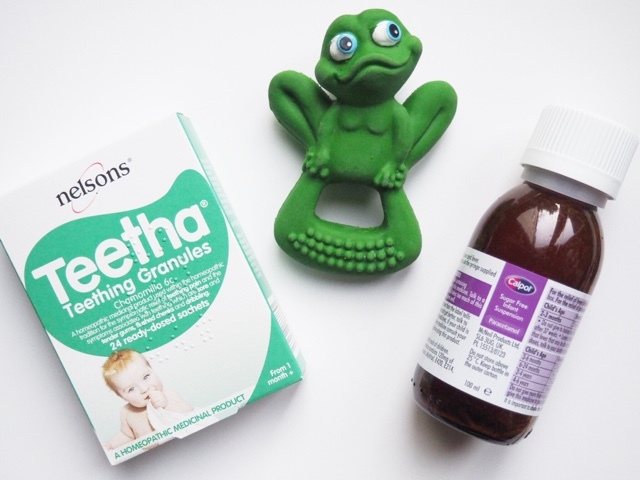 It's so brilliant to use on pretty much anywhere, from nappy rash to Violet's rosy cheeks. 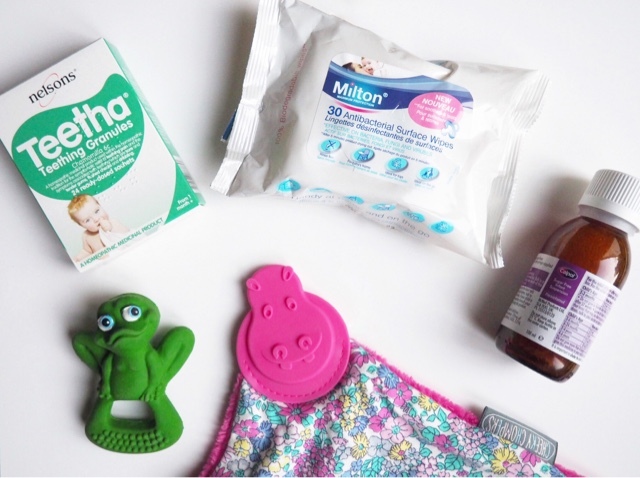 Waterwipes recently worked with midwives to come up with some easy tips for caring for baby's skin in the colder weather, particularly when travelling during the winter period. Thankfully coconut oil is up there with the top tips and midwives advise to use it as a general moisturiser as well as on the face and lips, to keep skin lovely and supple. I've been harping on about V and teething recently but it's kind of taking over our lives. I'm having a constant battle between ensuring she's comfortable pain-wise and nice and dry around the neck area. We go through so many dribble bibs it's unreal, but it's super important to make sure Violet isn't getting "dribble rash" around her neck. My current routine to prevent any soreness, is making sure the area is nice and clean using Waterwipes and then patting dry and applying cream if necessary. 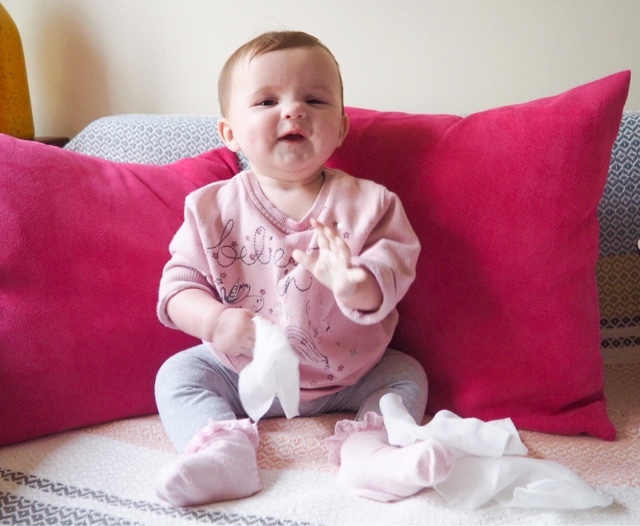 We've always used Waterwipes as our go-to baby wipe and during the winter months we've been reaching for them a little more. They're so handy to have as they're super gentle and can be used anywhere on baby's skin. This came in especially handy when we went away in October and when we go away again in March. I must confess, we have tried other brands but they're quite drying on Violet's and definitely not something we can use on a everyday basis. I would definitely recommend giving them a go if your little one has sensitive skin and you're heading away somewhere cold this Winter! 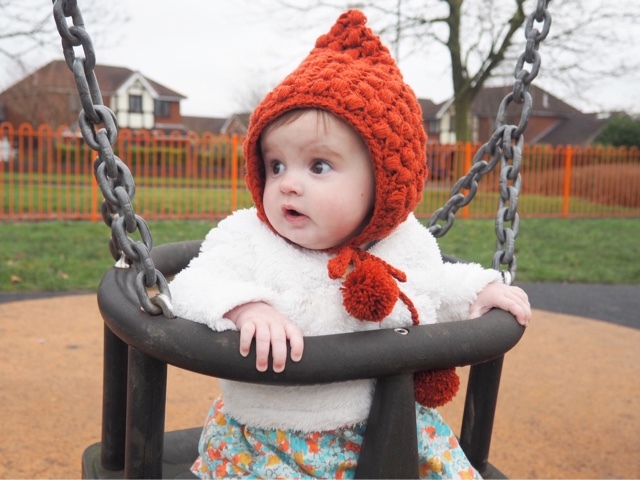 Have you got any tips for caring for baby's skin in Winter? Another packed week! We moved V into her own room and had a move around with her bed time routine. I can't believe that Violet is old enough to go into her big girl's bed, I was so anxious about moving her but I think it's need good for all of us. We finally picked up some baby monitors last week (good old BT monitors), which are brilliant FYI. Then we just ripped the bandaid off and went for it. Violet has taken to her own room really well. We've had no tears and she's settled in so much better than we thought. We've had a few hiccups, as V can roll over in her cot which means she wakes up panicking on her front. But I'm hoping to create something to prevent her from doing that. V has also been teething awfully this week so we have had a few rubbish unsettled nights due to those pesky gums. This photo is from Tuesday afternoon when Violet slept pretty much the whole day after being inconsolable all morning. It's so awful not being able to tell me what's hurting, so I did what we know is best and snuggled on Mama's bed all afternoon. We have tweaked her bed time slightly and we now head up to bed between 6-6:30pm rather than 7pm. This was the hubbies idea as Violet gets cranky around 6 ish and it's worked a charm. She will go down straight away and is actually sleeping better for it. I even read a few weeks ago, that tweaking by half an hour can make a real improvement on sleep, I can definitely vouch for that! Here's hoping the good nights continue and the teeth behave themselves! 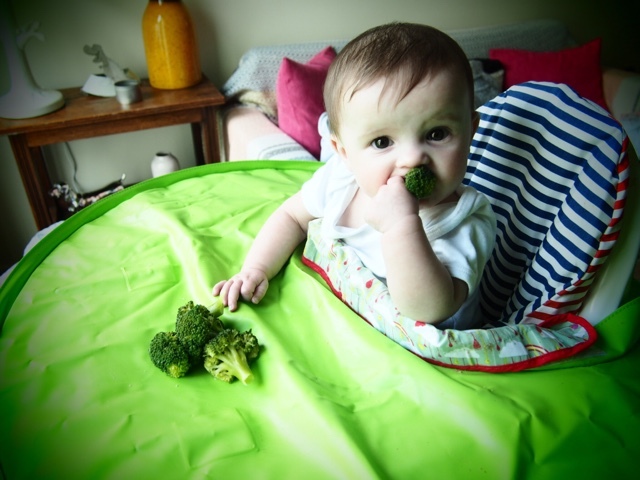 Baby Led Weaning: Month One. If you follow me on social media you're probably sick of the sight of V eating. But this Mama is super excited and proud of how Violet is getting on. 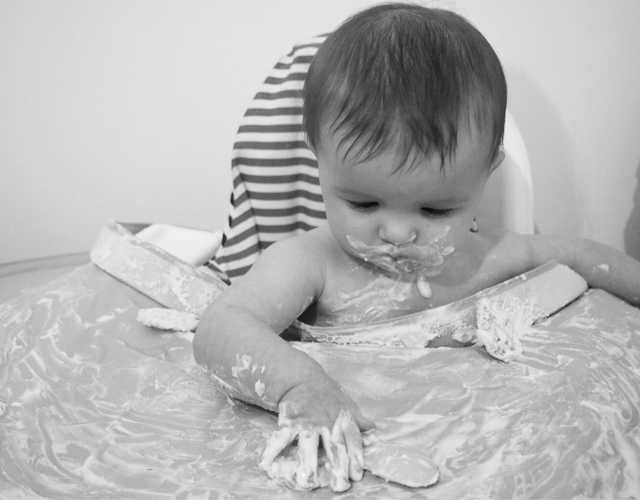 We started our Baby Led Weaning journey almost a month ago and we're getting on really, really well. I've become some what of a dab hand in the kitchen. I've rustled up a few new recipes and snacks for Violet to try, which seem to be going down pretty well. Im a little bit obsessed with the Baby Led Weaning a Cookbook app and I'm constantly searching for new things to try. I'm hoping to do a few posts on the kind of things Violet enjoys, in the next few weeks. It's so much fun watching her try new things and giving new flavours a go. 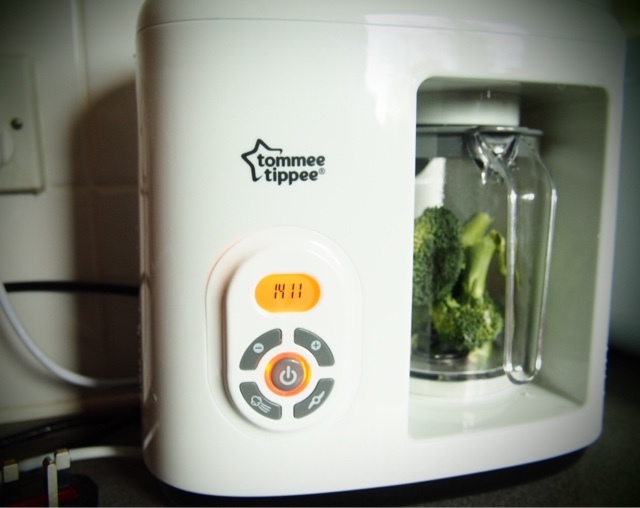 We've been experimenting with new tastes and textures each week and this week I've cracked out our Tommee Tippee Steamer* which has allowed me to introduce Violet to a few new things that were a little bit too hard for before. I've discover V loves steamed apples, which have gone down an absolute storm, as well as broccoli and steamed pears. It's so easy to use and can fit in enough fruit or veg for us to all have some, it will definitely make life easier at meals times. Yogurt is up there with one of Violet's favourite foods. Which is fine by me and actually doubles up as a bit of messy/sensory play. Violet is trying harder and harder with her Tommee Tippee Self Feeding Spoons* and doing really well. I give her loaded spoons and she manages to take the spoon to her mouth and definitely gets some yogurt in! I love these spoons as they have a super long, chunky handles, making them really easy to grip and great for little hands. I'm trying hard to encourage Violet to drink water at meal times too, although we've not quite got the hang of using a beaker yet. So far we've given a free flow teat a go, which has proven a little more successful than her 360 Trainer Cup*, although I imagine this will be perfect as she gets older and will definitely save me some cleaning up as V tries to drown all her food in water! I'm hoping to do regular updates on our BLW journey as Violet gets to grips with trying new things and I develop my cooking skills. I really can't wait to play around a little more in the kitchen and actually start eating a little better myself! 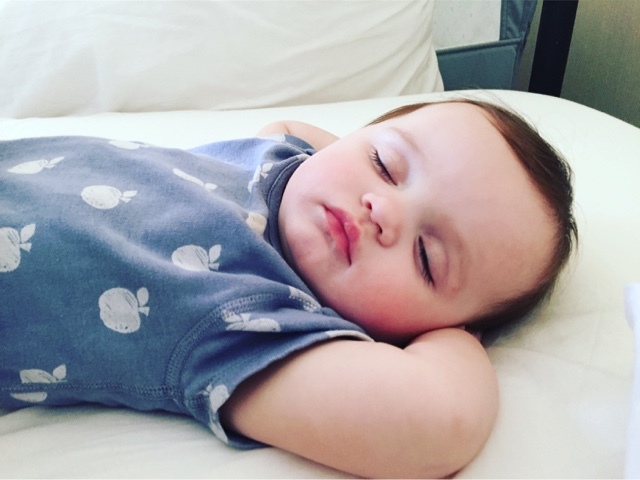 Do you have any BLW recipe recommendations? I think it's every parents pet peeve - teething. It's almost as if Violet's teeth started bothering her the second she turned six months old. 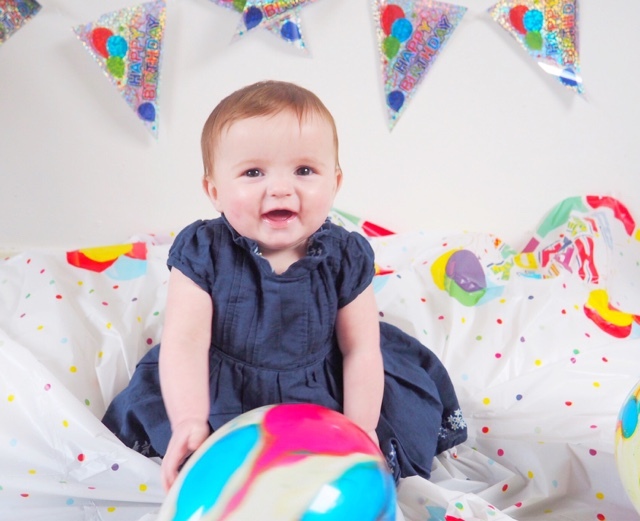 The past few weeks have consisted of bright red cheeks and biting pretty much anything she can get her hands on. Thankfully we seem to have found some things that really help to ease the discomfort for V.
Medicine - A combination of Calpol & Teething Granules seem to be doing a good job with helping Violet when her gums are at their worst. The granules are a homeopathic remedy but actually seem to really help her. They're super easy to use and can be used every few hours. I'm not so keen on using Calpol all of the time, so unless she is really struggling I don't reach for it. However, it is brilliant stuff and really does take the edge of things for V. Never underestimate the power of paracetamol! Teething Toys - I'm sure you all saw the Sophie the Giraffe drama last week, but I must confess Violet does still use hers. However she does prefer this little frog from Babipur. It's made from all natural products and is lots of different textures to make chewing him interesting and satisfying, definitely a fave. 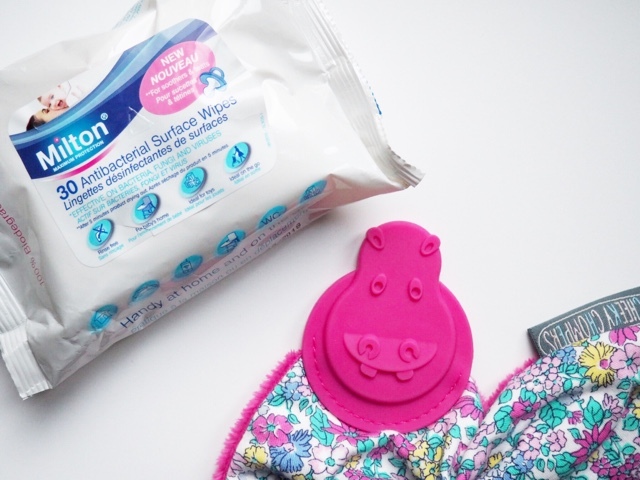 Milton Wipes - I've started packing these in the nappy bag because they come in super handy when I'm out and about, but I mainly use them to clean all of Violet's toys. The amount of time she spends licking, sucking, biting and chewing her toys, it's just sensible to make sure they're nice and clean before the day starts. Plus they're brilliant for giving highchairs a once before meal times. Dribble Bibs - Teething comes with lots of excess saliva. I seriously had no idea how much drool a baby could produce. Thank goodness for dribble bibs and Muslin squares. 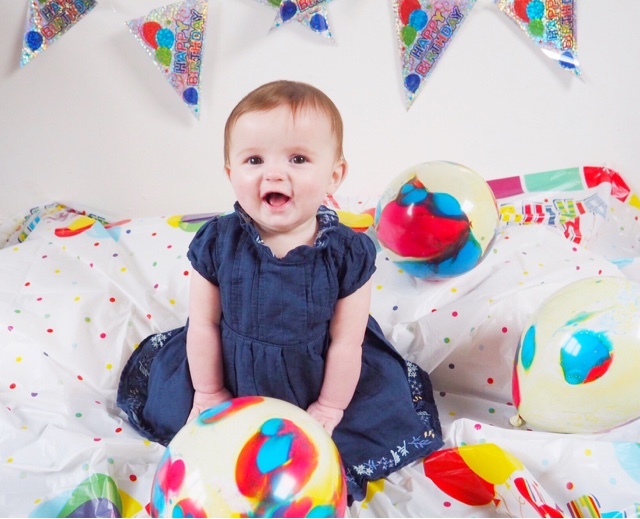 We really love using the Cheeky Chompers* dibble bibs and comforters. I've raved about them here before but they're great for keeping V's clothes dry and come with a hand chewable triangle that really helps to soothe her gums. 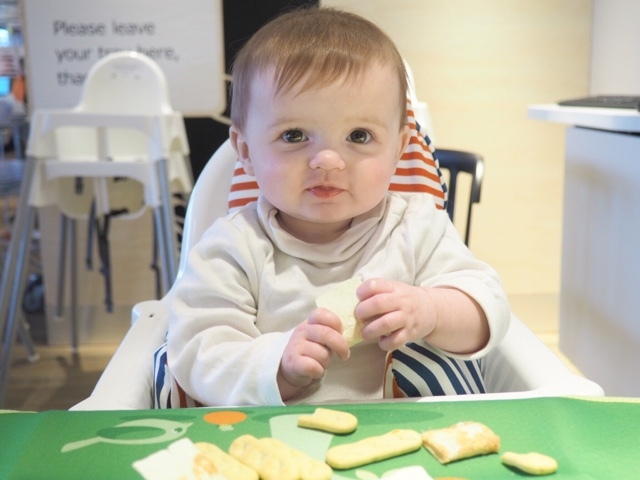 Do you have any tips for teething babies?